Welcome to the current edition of i2P (Information to Pharmacists) E-Magazine, dated Monday 21 August 2017. 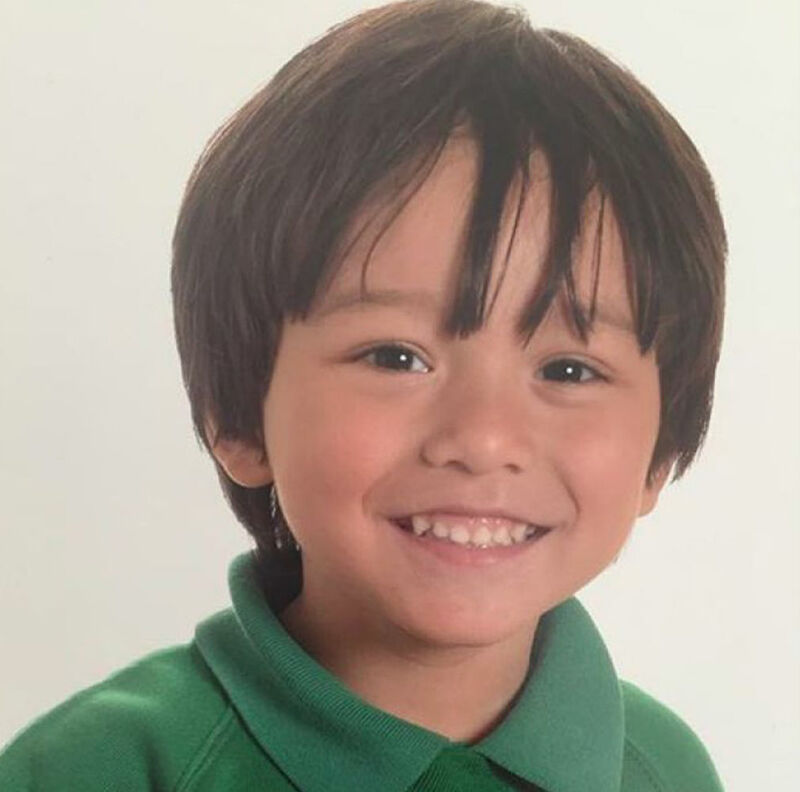 I have to say that I was deeply saddened as I awoke to the news of the confirmation of the death of Australian boy, Julian Cadman, the seven-year-old killed in last Thursday’s terror attack in Barcelona, in Spain. It now puts a very personal face to the cowardly act of terrorism and the global problem that ISIS and its followers pose. The Cadman family released a heartfelt statement overnight paying tribute to their “cheeky” boy. “Julian was a much loved and adored member of our family,” the statement read. “He was so energetic, funny and cheeky, always bringing a smile to our faces. The family also thanked those who help in the search. And so Australia is now intimately linked to these horrific events that are connected, in part, to the rise of a globalist movement that has tentacles reaching into the highest levels of Australia’s political decision -making. We know that groups like ISIS have been funded by US intelligence agencies with the primary objective of creating a range of “mini-wars” that fuel the US arms industry sales and profits. As immoral as that is, the end result is a terror group that gets out of control. Democratic countries, like Australia, are then forced to cede layers of “freedoms” through supposedly protective legislation that concentrates political power, which then further aids the globalists who set out to influence the centralised decision-makers to see globalists as part of the solution – a very warped mindset because their control of the individual increases so that it converts to a marketing exercise involving mind control and immoral government policies surrounding that market. Just as ISIS and its recent terrorist activities will send young Australian Defence Force members to fight in some other country, mandated by our political leaders as part of some treaty obligation. And while the globalist arms industry profits and kills, we have an identical situation with globalist drug companies threatening an entire generation of our children through faulty coercive vaccination policy. I have taken great pains to participate only in the debating area of safe vaccine products and view each vaccine on its merits. Neither pro-vax or anti-vax – jut safe-vax. Solid research concerning the MMR vaccine reached i2P that has proven that MMR vaccine is contaminated with glyphosate (the agricultural chemical Roundup) as well as toxic metals in a vaccine context, like platinum, silver, bismuth, iron, and chromium. Glyphosate has a chelating property which attracts metals, so the metals in the vaccines arrive through the metals in the machines that manufacture the vaccine. More sinister, the glyphosate itself arrives through the use of animal-derived gelatin. Gelatin is used as a “stabiliser” in vaccines such as MMR. It arrives in animals used for gelatin production, that are fed GMO plants that manufacture their own high levels of glyphosate, or through other forms of feeding that have been exposed to glyphosate spraying of crops. Glyphosate then ermbeds permanently in the tissues and bone marrow of the animals processed for their gelatin. Glyphosate works as a weed killer in plants by damaging proteins used to promote growth. The researchers describe “how the measles virus in the MMR, which is grown on nutrients contaminated with glyphosate, could incorporate this glyphosate into its own proteins, as a coding error, in place of the amino acid glycine. Glyphosate is a glycine molecule with an additional methyl phosphonyl group attached to the nitrogen atom, and we have argued that a key mechanism of its insidious cumulative toxicity is its ability to substitute for glycine by mistake during protein synthesis. Haemagglutinin is the main antigen produced by the measles virus that is responsible for inducing an antibody response to the vaccine. So there you have it – one actual mechanism that is the cause of vaccine induced autism. My blood runs cold when I see academics and politicians telling outright lies in the media. These are just some of the statements that are just plain false and generally come from the mouths of people who have some Skeptic association. Australia’s coercive vaccination policy (that affects young families dependent on government allowances) is coercion causing parents to into poison their own children. An entire generation of our children have been condemned to a life of chronic illness – more fodder for the globalist drug industry to profit from. And this killing and maiming of children by the globalist drug industry is no different to the killing and maiming that is caused through warfare and terrorism, sponsored by the globalist arms industry. And the professions of medicine and pharmacy (the “first do no harm” cohort) simply look on and let it happen. They do not even offer potential solutions to manage the damaging vaccine side-effects. That would mean getting involved, for heaven’s sake! The globalist elite are by action and nature against the individual and the concept of democracy. Unless individuals start to speak out and oppose globalism, the freedoms and lifestyles enjoyed by most Australians as a natural right will simply disappear – and that would require a revolution to reconstruct a balance. You can see signs of revolution creeping into US culture virtually in every news bulletin. However, back to the realities of pharmacists endeavouring to find direction, relevance and sustainability. Our lead story for this edition involves the civil war that has surfaced (it always existed) between medicine and pharmacy. Since the mid 20th century, a quiet but not so subtle war has been waged by the medical profession against the profession of pharmacy. It had its formal origins in the establishment of the Pharmaceutical Benefits Scheme which altered the traditional patient flow. Up to that point, most patients consulted a pharmacist for an ailment as their first port of call, and pharmacy controlled nearly 80 percent of the primary health care market If the ailment was minor the patient was treated with a remedy that was compounded or available over the counter. If the condition was complex, the patient was referred to an appropriate practitioner, usually the patient’s own GP. PBS altered the traditional patient flow, diverting directly to the GP with the promise of totally cost-free access. Language of PBS regulations was inflammatory – doctors “may” elect to follow processes, but pharmacists “will” follow processes. PBS is now moribund – patients are turning to natural therapies – GP’s trying once again to dominate and control primary health care and failing and again insisting pharmacists “will”. It’s time for pharmacy to assert itself and kiss all detractors goodbye! Peter Sayers is back with some insights and understanding surrounding some of the difficulties of introducing professional services into a community pharmacy. And could you answer concisely? Well, the reason you may not have been able to respond immediately is because of the duality of the nature of the pharmacy profession. Pharmacists do not always understand the range and scope of the skills they must excel at. By nature they simply get on with their busy existence while simultaneously turning a deaf ear to jealous critics, be they medical, governmental or industry mega-businesses all wanting to disrupt us and steal “a piece of the action”. Pharmacist resilience and survival is found in their own skills in providing a specialist supply and logistics system coupled with an ability to deliver patient information and support, with a common touch and a helpful disposition. And all done so efficiently and quietly that co-professionals and government agencies are completely oblivious to these processes. Yes, we do need a culture change to make the invisible more visible through more assertive behaviour, to put and end to those who try to disrupt us. Gerald Quigley is back and has written an energetic article regarding current marketing practices for statins. The type of clinical trial described in his article is simply a marketing exercise – an attempt to restore the debunked statin drugs back to the stellar money machine that Pharma’s cannot let go. As such, the results of this trial will become an extension of science manipulation, which is the very reason why trust levels for science have declined within health professions and the general population. The people fronting for the promotion of this manipulated science are promoting “scientism”- debasing the valid scientific method to fit a model that makes money for global drug companies and a whole host of science “shills” . Scientism is nothing more than Science Friction and having organised groups like the “Fiends of Scientism in Medicine” is a strong indication that decent science is very much in need of “friends” – and they are mostly invisible not wanting to waste their valuable time as “fiends” seem driven to do. Read: Statin Therapy – A new Low? Medical cannabis has fast degenerated to “politicised cannabis” and a perfect illustration of how our political leaders have become globalists, representing the back-pocket dollars of that elitist group, rather than the health and economic interests of the Australian population- the people they are supposed to represent. There is a grass-roots groundswell building against these types of politicians and frustration will boil over in the next ballot box. WHO has recently made a statement saying that cannabis should be decriminalised world-wide because existing laws cause health discrimination. There is a very important and detailed research report published in the “Safe Vaccination Debate” column for this edition. It is originally published by Robert Kennedy in his publication “The World Mercury Report. Robert Kennedy is part of the famous political US Kennedy family, and he was appointed by US president Donald Trump to unravel the inappropriate vaccine policies that permeate the US regulatory landscape. In this latest edition he publishes some of the most important research regarding vaccines, and it is research by Dr. Stephanie Seneff that will need to be observed, because safe vaccine proponents will go into overdrive to ensure that career politicians do the right thing. There is something really wrong with Australia’s public health policy, in particular the policies pertaining to vaccines. Daily, these policies are exposed as being biased and unsafe. Yet our politicians and medical health leaders pretend to remain blind to unsafe practices. “First do no harm” as the foundation of all medical practice now has a hollow ring to it with the medical profession exhibiting cartel behaviour and public confidence is further eroded as the public find they have little choice in being able refuse a vaccine they have inadequate knowledge about. Any queries on vaccine safety are aggressively disposed of and the complainant labelled “anti Vaxer”- no voice at all for “safe vax”. The safe vaccination debate is continued here, despite the fact that it is not recognised by the extreme pro and anti-vax participants. The pro-vax proponents sustain their immoral position with dishonest tactics and communications. The anti-vax proponents also hold extremist views because vaccination principles are generally sound. It is the manufacturers supported by a medical cartel, that are the real villains in this drama because they continue to make and promote unsafe vaccines and develop new vaccines without any formal evidence. It is also obvious that vaccination does not equate to immunisation! Harvey Mackay is back with an article on selling that could equally apply to selling retail goods or professional services. Making friends as an integral process of making a sale is a technique that has equivalence in a professional setting. I once had the experience of an acute serious health issue requiring a period of time in a Hospital Rehabilitation Unit. In this setting, you are confronted by a physiotherapist at the earliest opportunity. In my case, I was assigned a physio aged 26 years and in her final months before being a registered professional. As a patient, the recovery process seemed daunting – even brutal. Very quickly I came to look forward to each session simply because this physio was so cheerful, enthusiastic and very professional. I complimented her on her level of professionalism and she responded by saying: “I set out to make a friend with every patient in my care”. Believe me, it works, and my memory of my rehabilitation still remains with me as an extremely positive experience. A great process of patient engagement! 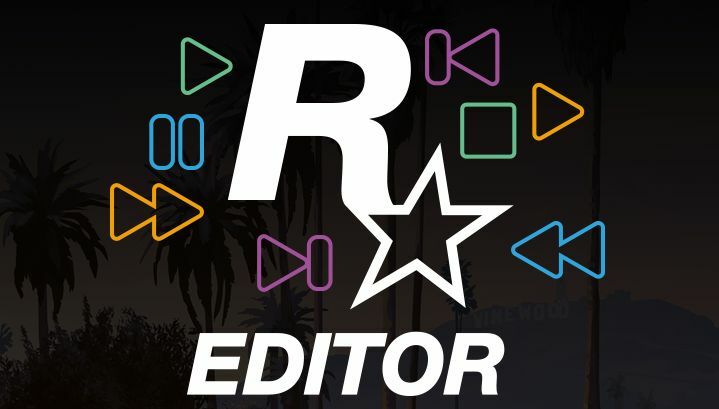 We hope you enjoy our content and please do not hesitate to extend any article debate by including your comments in the panel provided at the foot of each article.